Antoni Miralda was born in Terrassa (Barcelona) in 1942. After spending two years in Paris and two in London, in 1966 he settled in the French capital until 1972, when he moved to New York. He currently lives between Miami and Barcelona. In the sixties, with the so-called ‘Paris Catalans’ (Joan Rabascall, Jaume Xifra, Benet Rossell and Dorothée Selz) he organised a series of happenings or collective rituals around ceremonial food from the perspective of colour and symbolism. Initially in collaboration with Dorothée Selz, and from 1972 with the museum keeper and chef Montse Guillén, he made food the object of his artistic work. Over the years, he has created large installations in a non-conformist language that is lively, baroque and kitsch and which brings art to life. 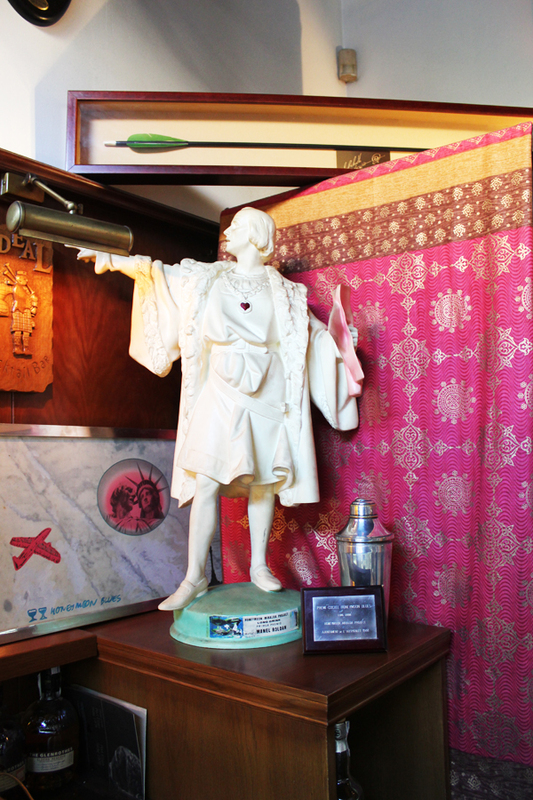 In major works like Honeymoon Project, a symbolic marriage between the statue of Columbus in Barcelona and the Statue of Liberty in New York, he uses a universal activity such as food to carry out a deconstruction of prejudices in a world that is already global. Many of his works promote collective participation in a context of play and partying. This was the project that would unexpectedly unite Miralda and Ideal, in 1988 the townhall of Hospitalet de Llobregat called a contest between barmans in order to elect the best cocktail to celebrate this wedding, it had to be blue and non-alcoholic, and the winner was Manel Roldan our barman from Ideal Cocktail bar. 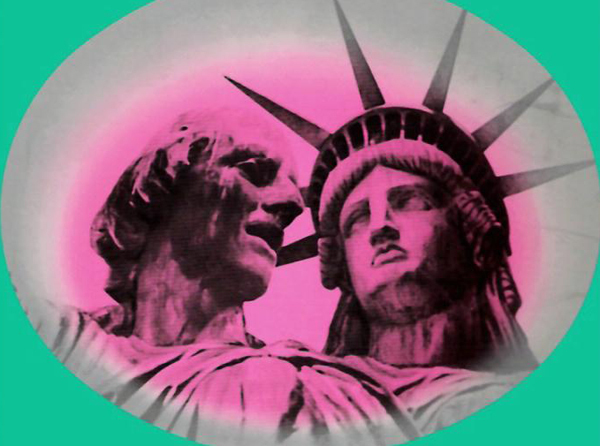 Years later MACBA has programmed an exhibition: The MIRALDA MADEINUSA that recovers all of the artist’s projects related to his stay in the United States from the mid-seventies to the late nineties. We strongly recommend you to visit MACBA’s exhibition as well as paying a visit to Manel in our bar and ask for a Honeymoon Blues cocktail in honor to Miralda! We have a novelty at Ideal and it is that from now on we will serve Gin Loe amongst our other gins! 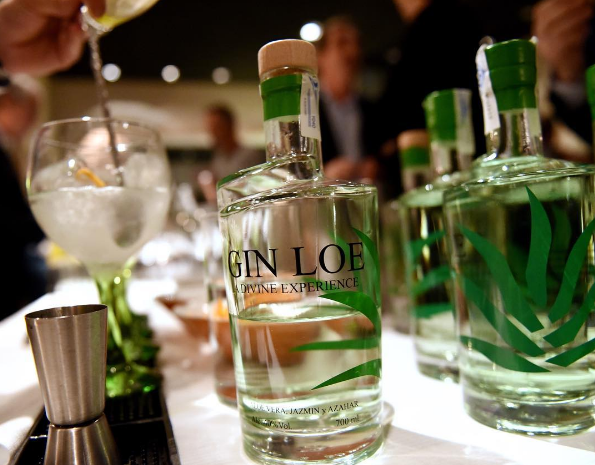 This gin is totally organic and made from the maceration of different plants like aloe vera, juniper, coriander and cardamom in water of Formentera. All products are grown respecting the environment and does not use any chemicals at any stage of the distillation process. At Ideal we think it’s a perfect alternative to classic gins and also 100% ecological and local! In the last issue of Cuina magazine Ideal has a little reportage about the Manhattan, one of the favorite cocktails of Josep Mª Gotarda. This cocktail is one of the most iconic in the mixology world and its relation with the city of New York is indisputable, at Ideal you can enjoy its classical version made out of whisky or rye but Gotarda has his own preference and makes it with bourbon or, if the client desires, he makes it with vermouth. However, this cocktail doesn’t need any extra change to be perfect in its own way with the traditional recipe and that’s what makes it so famous amongst other cocktails. Here we leave you the recipe for a good Manhattan and the pictures of the reportage. Cool down a martini glass, put in a shaker some ice and shake it, take out the water excess and add the bourbon, the vermouth and the angostura, mix it up to cool everything down. Put a cherry in the glass and pour down the liquid in it filtering the ice with a strainer and it’s ready to serve.